DC Horoscope: New Moon @15Sag07 December 7, 2018 2:20:15 am est White House Washington DC; Hour of the Moon (fluctuations; changes) with Venus in Scorpio rising in 1st house and leading a BOWL shape of the planets, emphasizing the lower hemisphere, and denoting signs Taurus through Libra as representing “challenges to existence” (The Guide to Horoscope Interpretation, M. E. Jones). Taurus through Libra includes several of Mr. Trump’s natal planets, plus his natal Midheaven with nasty Algol conjoining @24Taurus. 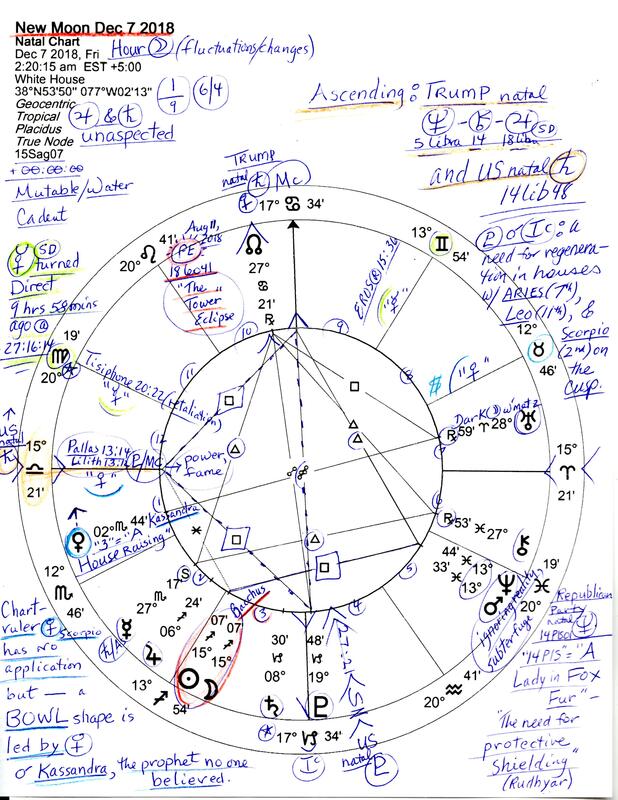 Gemini, of course, includes Trump’s natal Uranus-NN-Sun trio; Cancer includes his nibs’ Venus-Saturn conjunction, Leo includes his natal Mars and Ascendant (conjunct royal Regulus), and Libra brings in his problematic Neptune-Chiron-Jupiter trio of fantasy, schemes, and speculation (see chart, upper right–this trio is rising along with America’s natal Saturn @14Lib48, followed symbolically by US SP Mars Rx @18Libra (SP = Secondary Progressed–our Mars regressed and turned inward against ourselves since 2006). This difficult, weakening condition for US Mars the warrior lasts until 2086 and tragically describes unlawful shootings by police against citizens, the ongoing crises of students vs students, parents vs children and vice versa, citizens arming up, death cults, and other violent events on US soil. 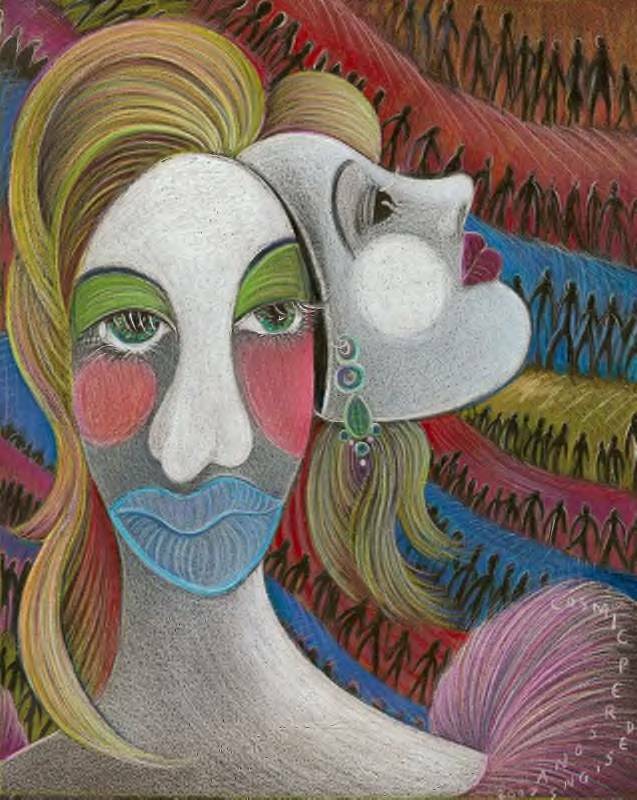 That transit Neptune now floats through its own sign of murky Pisces only confuses issues, masks fraud and deception, and engenders contagions of fear and paranoia in the population. “Give happiness and joy to many other people. There is nothing better or greater than that.” – Beethoven. “Intellect distinguishes between the possible and the impossible.” – Max Born. For more info on Sun-Moon blends see Sun Sign-Moon Sign by Charles and Suzi Harvey. 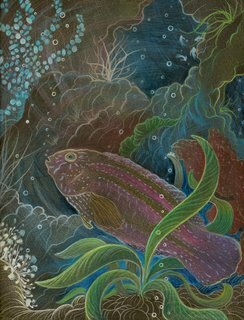 Image: ‘False Senator Wrasse’ a botanical drawing by Jude Cowell and descriptive of this Neptune in Pisces period of political corruption, deception, cover-ups, scandals, and leaks. Jude’s Threshold: 2012 in review! 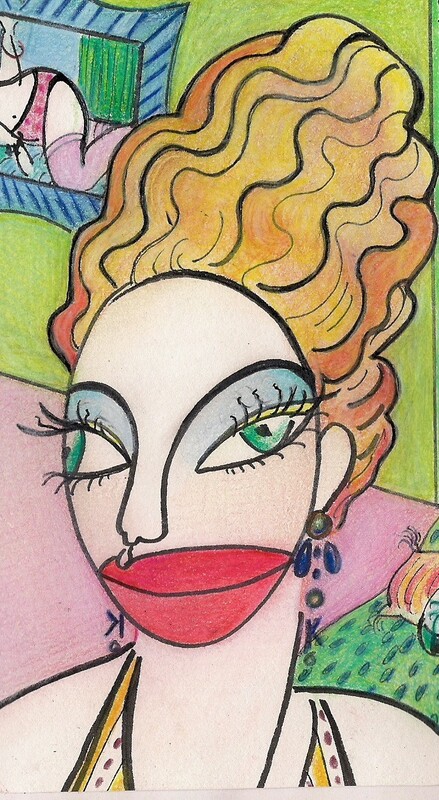 Tagged with Blogging about Astrology, Jude Cowell Art, Jude's Threshold's 2012 stats! Fairy Path w Moss uploaded for Drawing Day 2011! June 4, 2011: Decided to upload my entry for World Drawing Day 2011 to my flickr stream. Title? ‘Fairy Path w Moss Drawing Day 2011′ by jude cowell. So have you checked out any of the entries yet? A book publishing will result of a selection of today’s uploaded drawings including some childrens’ drawings which is cool. And there’s lots of Art to view in the online gallery linked below. Well, I do declare that Drawing Day is the largest art project Ever! You can feel it, can’t you?